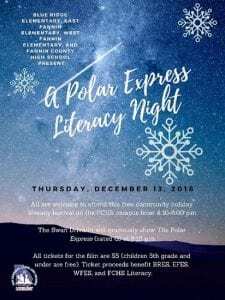 A Polar Express Literacy Night – December 13th! 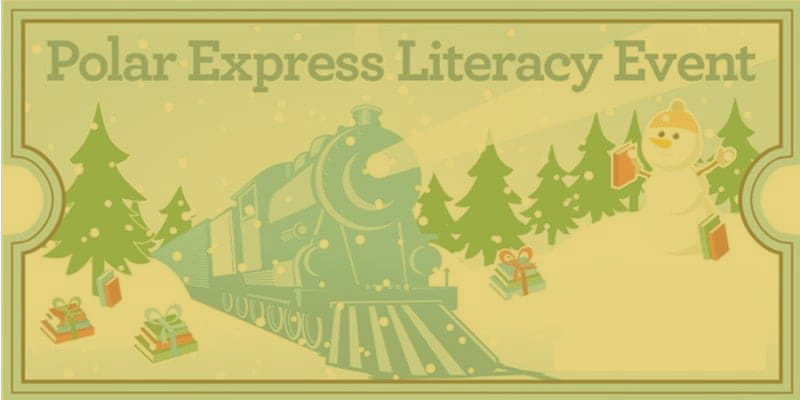 Express at 6:15 p.m. as a fundraiser for literacy programming at the schools. Pick up your map to the North Pole at the FCHS main entrance to guide you around the campus to our various activities; if you get lost along the way, a wandering elf will help direct you to your destination. If you are lucky, the conductor himself might even stop to punch your ticket! Some of the interactive experiences offered will include themed crafting projects and a book walk. Wal-Mart and Ingles have generously donated a cookie decorating station and a hot chocolate bar. Home Depot will host a Holiday Builder’s workshop! Along the way to the Elf Workshop, where eager elves will assist with letter writing to Santa, feel free to peruse the artistic creations presented at the FCHS Gingerbread House Contest. 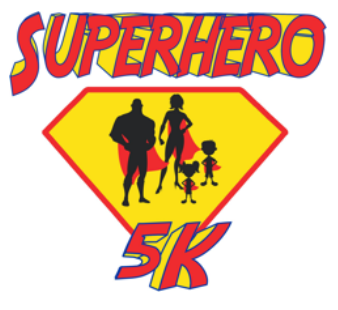 The Fannin County Regional Library will also host on-site library card sign-up booth! Express. Santa Claus himself will be there for free pictures and to hear all your holiday wishes. the attendance of these avid readers. Please join us for this magical evening! at the entrance to the Swan. All proceeds from ticket sales will benefit future literacy projects. success, and they will all be recognized at the event. lasting commitment to sustainably impact literacy at all levels! The Star Teacher and Student of the Year for the Fannin County School System were Sarah Welch, left, and Jordan Newman, respectively. 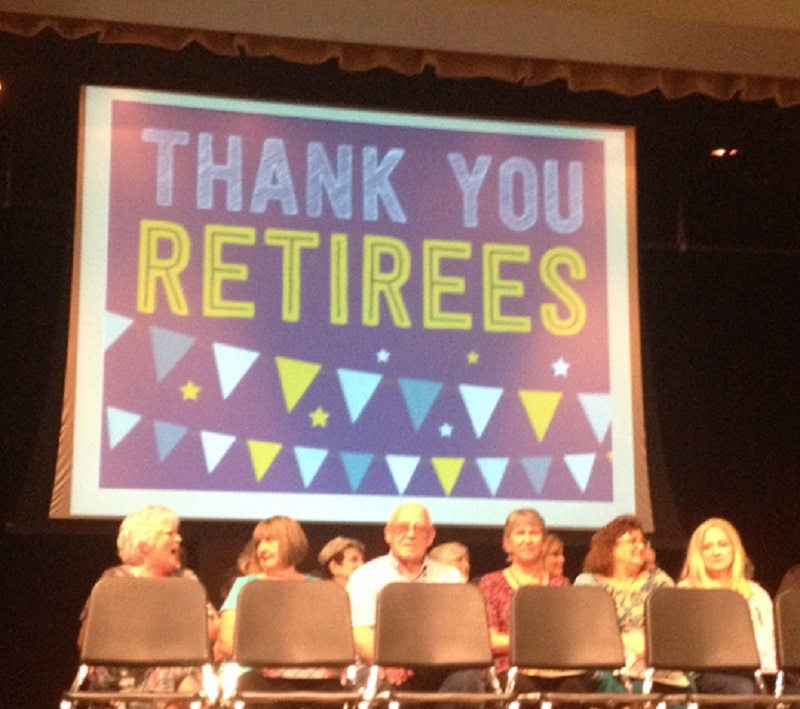 BLUE RIDGE, Ga. – Several school system accomplishments were mentioned and this school year’s retirees were honored at the end-of-the-year meeting of Fannin County Schools at the Performing Arts Center Wednesday, May 30. Superintendent Dr. Michael Gwatney kicked the meeting off by announcing 198 students recently graduated from Fannin County High School. Gwatney also thanked the Board of Education for a 1 percent across-the-board permanent pay increase for school system personnel. To this, the audience responded with a resounding round of applause for the superintendent. Lewis DeWeese, BOE chairman, also spoke of the change he saw this year under Dr. Gwatney. “I’ve been saying it for the last year or so, our system has a new spirit, a new friendly, open, honest willingness to share (and) work together,” DeWeese stated. Several awards and achievements, received both for schools and individuals throughout the school year, were recognized at the meeting. This school year’s Teachers of the Year were also mentioned again during the meeting. 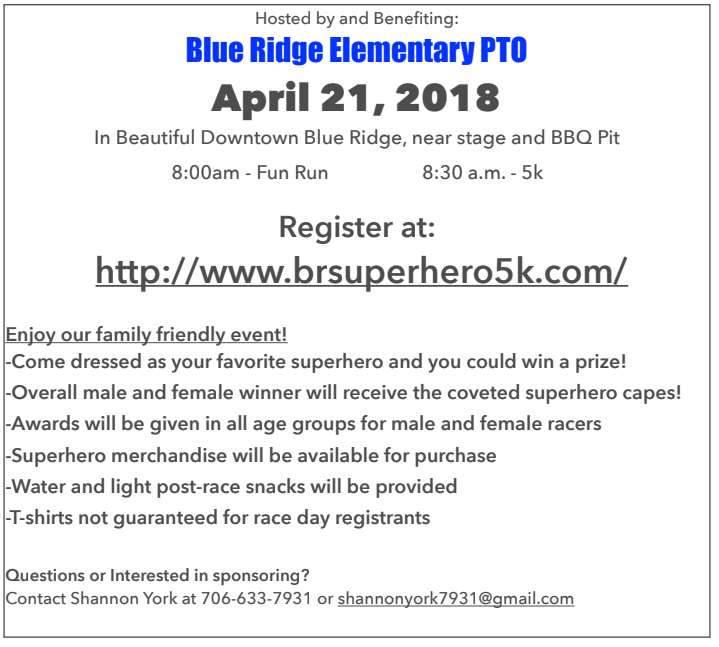 Those educators included Erin Colbert, from Blue Ridge Elementary, Kathy Culpepper, from East Fannin Elementary, Amber Mitchell, from West Fannin Elementary, Nathasha Anderson, from Fannin County Middle, and Shan Culpepper, from Fannin County High. Culpepper also held the distinction of being Teacher of the Year for the entire school system. 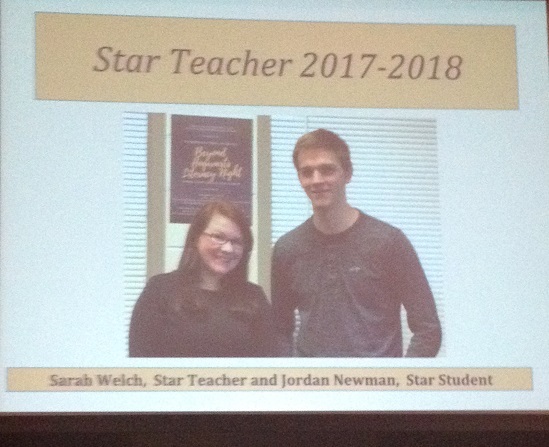 Sarah Welch and Jordan Newman were also recognized this past school year for being the Star Teacher and Star Student of the Year for 2017-18, respectively. 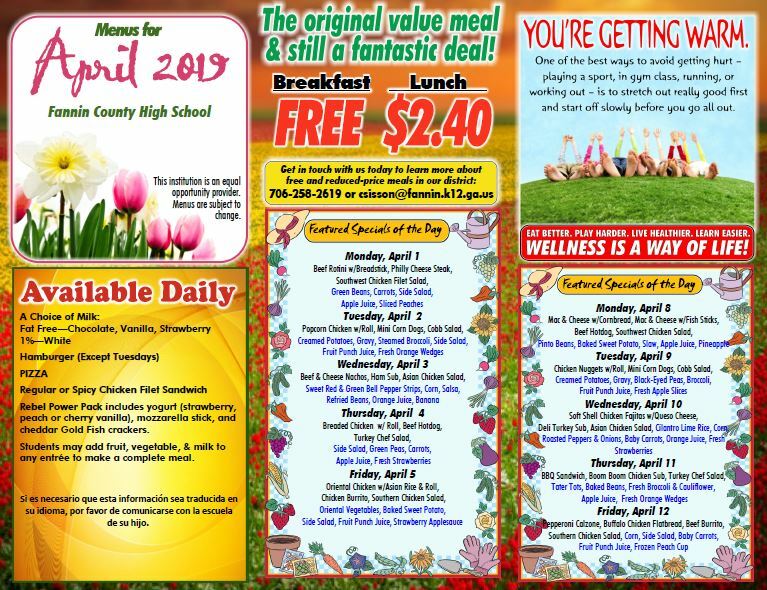 Regarding the high school, Fannin County High School (FCHS) was also ranked statewide and nationally in U.S. News’ annual Best High Schools rankings. According to those rankings, FCHS was ranked 63 in the state and 2,593 in the nation. This was the third time in the last four years FCHS has been ranked by U.S. News in this category with the previous years being 2015 and 2017. The high school also earned a Silver Award for falling in the top 12 percent nationally. 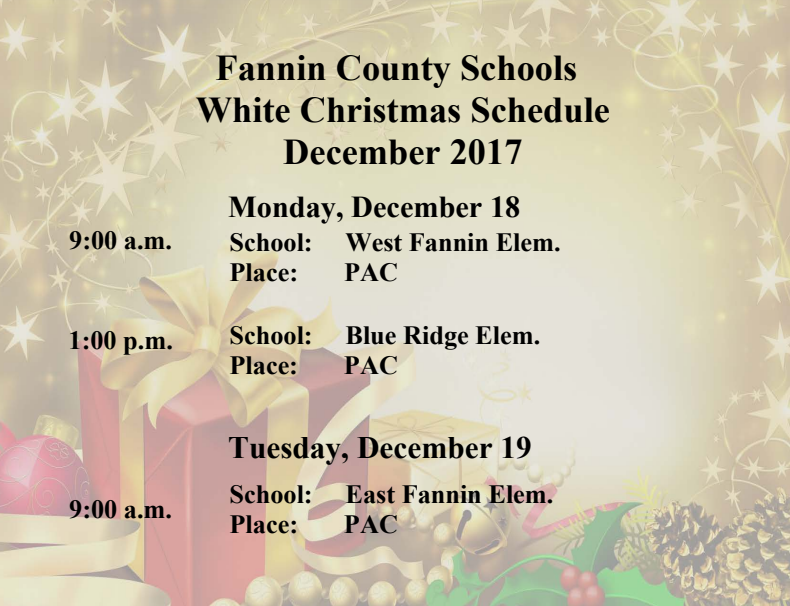 Fannin County Middle School (FCMS) was also praised for its accomplishments, most notably in that the school placed first in an online Reading Bowl and fourth in face-to-face competition. FCMS also earned an honorary degree in life science. Blue Ridge Elementary received recognition for earning a High Progress Award among Title 1 schools. High Progress Award schools are among the top 10 percent of Title 1 schools based on the three-year average of College and Career Ready Performance Index (CCRPI) progress scores. 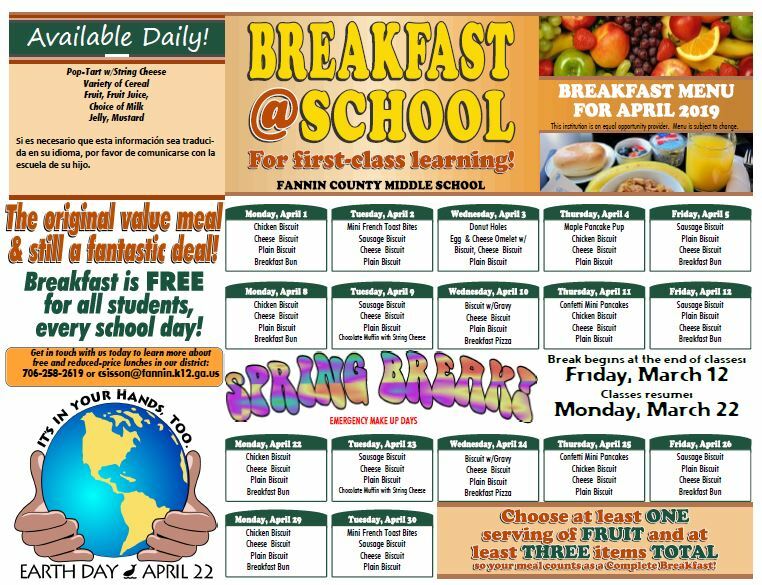 East Fannin Elementary held the distinction this school year of being one of only five Family-Friendly Partnership Schools in the state of Georgia. Also, West Fannin Elementary enjoyed the success of becoming the 36th Science Technology Engineering Mathematics (STEM) certified school in the state. Twenty-five educators in the school system became certified as Level 1 Google Educators this school year. This status indicates that an educator is able to successfully implement Google Suite for Education into their teaching practice in order to enhance teaching and learning. 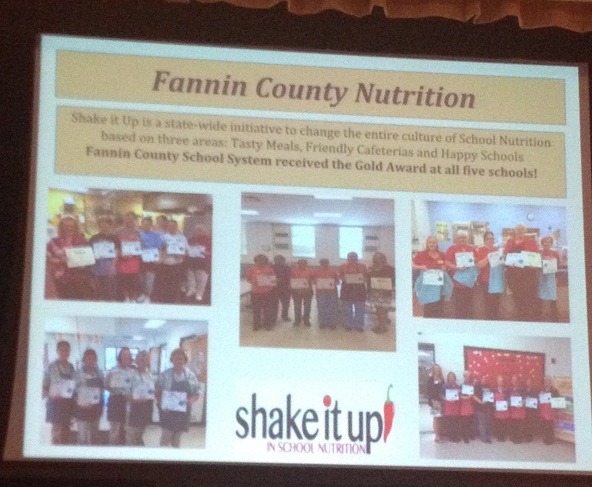 The Fannin County Schools nutritional program participated in the Shake It Up initiative this past school year. 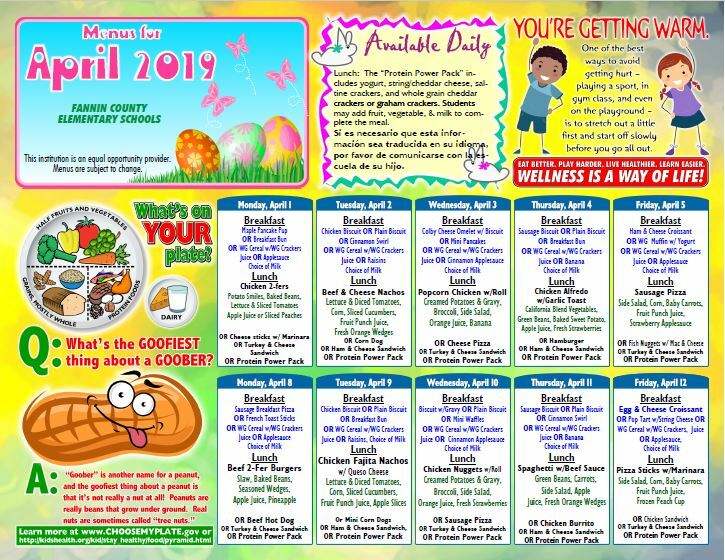 The school system’s nutrition program participated in the Shake It Up initiative, which is a state-wide initiative to change the culture school nutrition in three areas: tasty meals, friendly cafeterias and happy schools. 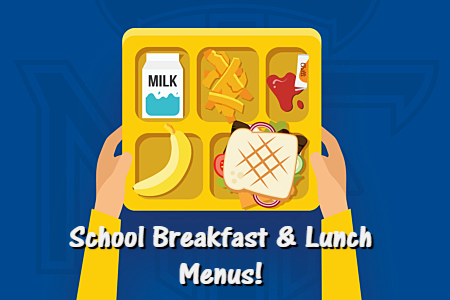 The nutrition programs at all five county schools received the Gold Award in this initiative. 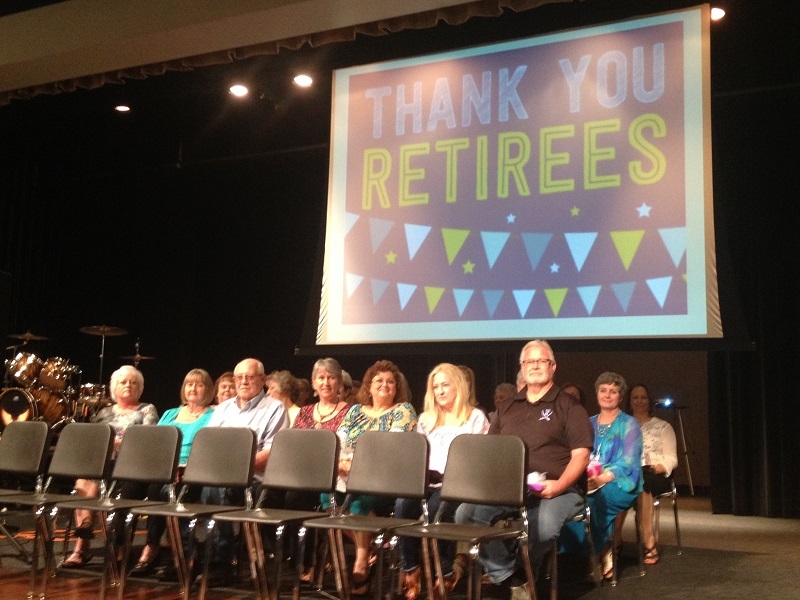 Fannin County Schools honored 27 retirees from the school system at its end-of-the-year meeting Wednesday, May 30. · From the Central Office, accounts payable bookkeeper Connie Grindstaff and Associate Superintendent Betsy Hyde. 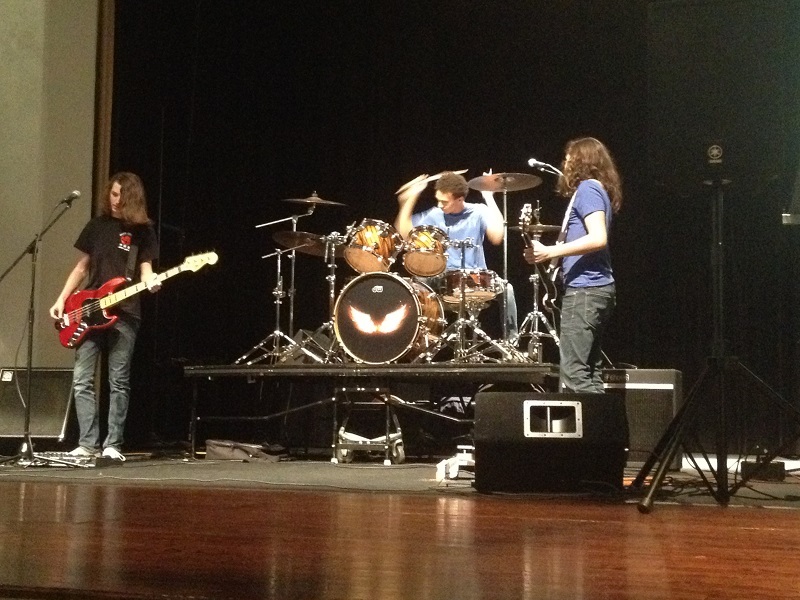 Following the ceremony, the rock band Apollo, which is comprised of three Fannin County students, played a spirited version of the Foo Fighters’ classic anthem “My Hero” as a tribute to the retirees as well as the existing educators and employees of the Fannin County School System. 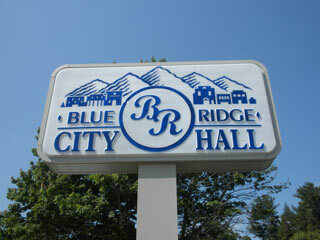 BLUE RIDGE, Ga. – After an executive session to discuss personnel that lasted over an hour, the Blue Ridge City Council reconvened the public portion of their Tuesday, Feb. 13, meeting and approved a number of city employee appointments and entry-level pay scale proposals in the Water and Utilities Department. Among the many hirings and appointments, the council appointed William Long as water distribution supervisor at a rate of $17.50 an hour, Tony Byrd as acting chief mechanic and street supervisor at a rate of $17.00 an hour, and Shannon Payne as water loss and mapping supervisor at a rate of $22.54 an hour. Each was appointed with a six-month probation period. Utilities director – $19.00 an hour. 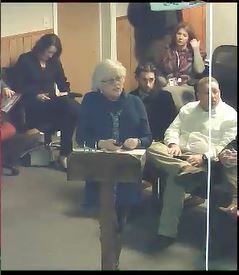 “These are entry level (pay scales) and most of those (positions) are already filled by somebody that’s had some tenure here,” Mayor Donna Whitener explained. The council unanimously approved the proposed pay scale. Also discussed at the meeting was the farmer’s market property. Mayor Whitener reported the city has received recent interest from potential buyers of the property. Whitener continued stating if the city is unwilling to sell the property, a plan to refurbish the property needs to be put in place soon. Whitener explained the facility would need some water line upgrades and some re-engineering to make the space ADA (Americans with Disabilities Act) compliant “And we need to come up with a plan. We need a plan in place as to how we’re going utilize the farmer’s market,” Whitener said. 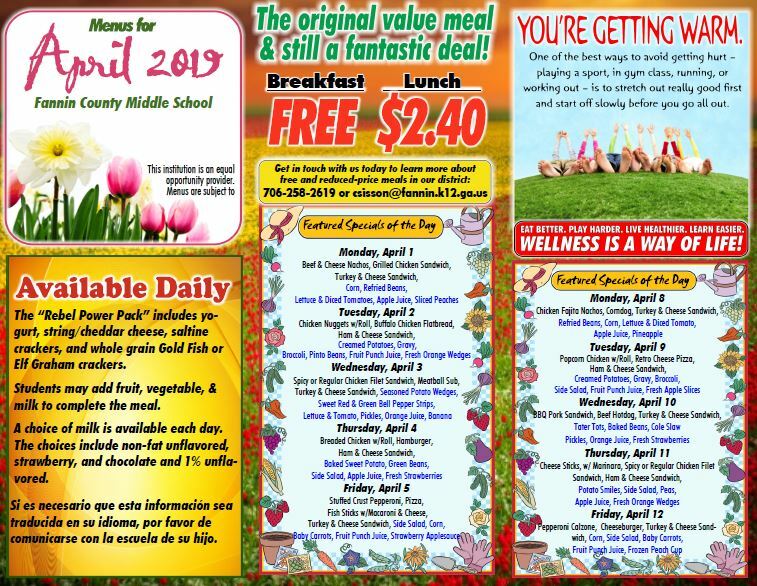 The council discussed the success of the Blairsville farmer’s market on the weekends. Whitener further clarified a decision was not to be made at the meeting but that she would like to hear feedback from the council regarding whether to sell, lease or upgrade the facility in the next 30 days. The council also reviewed a quote from KorKat Playgrounds and Site Amenities for shade covers for the downtown park playgrounds. The steel and aluminum column supports would come with a lifetime warranty while the Kevlar fabric canopies would have a 10-year limited warranty. According to Thomas-Haight, the shade cover would decrease the burn potential to children of the playground equipment during the summer months. The total cost of the shade covers would be $19,210.01, which would include a $1,500 engineering fee, according to the KorKat quote. Kate George, of the Blue Ridge Elementary School (BRES) Cool Kids Gardening Club, spoke on behalf of the organization and told of its success. 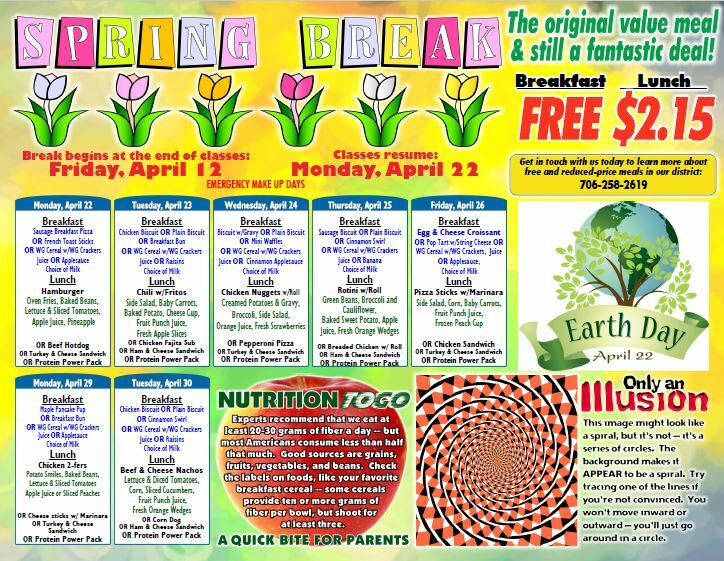 George stated the club has existed at BRES for seven years and the club typically consists of around 15 third and fourth graders. The club, George said, allows the students to gain gardening knowledge and have hands-on experiences related to gardening. Members of the Blue Ridge Elementary School Cool Kids Gardening Club present bluebird houses to the city of Blue Ridge during the Blue Ridge City Council meeting Tuesday, Feb. 13. This year, for one of those projects, the students built bluebird houses and donated them to the city of Blue Ridge, presenting the birdhouses to the council at the beginning of the meeting. “We hope that you enjoy putting them up, and that they attract a lot of lovely bluebirds to our wonderful town,” George said. Later, Mayor Whitener reported the city had recently received a claims check for $20,165 for storm damage to the city hall roof suffered in an April 2017 storm. The mayor explained the damaged portion was mainly confined to the old drive-through area of the building. Councilwoman Thomas-Haight stated she felt re-roofing the area would be wasteful until future parking and city hall expansion plans are determined. Haight-Thomas recommended depositing the funds into the general fund for now. Though the amount was approved for $10,000.00, the mayor explained the repairs should cost closer to $6,000 or $7,000. Whitener also said city Finance Director Alicia Stewart had studied the budget closely and found enough leeway to cover the full amount, if needed. Two invoices totaling $4,942 from Lance Trucking for gravel. In public commentary, Cesar Martinez, president of the Blue Ridge Business Association, reminded the council and the audience of this weekend’s eighth annual Fire and Ice Chili Cook Off to be held in downtown Blue Ridge Saturday, Feb. 17, from 11 a.m. to 5 p.m. Martinez reported 21 ice sculptures will be situated in the downtown area, 16 chili vendors will be participating in the cook off, and the Owl Creek Band will be performing. 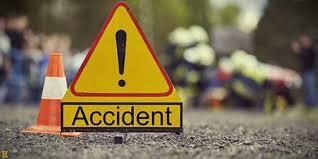 Kit Miracle told the council of a vehicle accident she experienced at a narrow section of road on Trackside Lane where the side of the road collapsed. Miracle stated she maneuvered the vehicle to the side of the road as an oncoming vehicle was coming toward her from the other lane. Mayor Whitener explained to Miracle the council had approved the widening of the road at the last city council meeting and improvements are now proceeding. Nancy Zimmerman asked the city to communicate with Patriot Rail and coordinate a plan to clear vegetation from the mostly unused portion of railroad tracks south of the city rail yard. Appalachian Cable Installers Inc. Blue Ridge City Council Blue Ridge Elementary Carter & Sloope Chief Johnny Scearce Cool Kids Gardening Club Councilman Harold Herndon Councilman Kenneth Gaddis Councilwoman Rhonda Thomas-Haight Hydrocal LLC Industrial Chemical Junior Master Gardeners Kate George Sutton Tire Inc.